When someone asks you this question, you would probably assume they are referring to your Sun sign – the sign that you normally read, in the horoscope columns. Right? Well, did you know that you have a Moon sign which is equally as important to your Zodiac profile? Whilst the Sun is arguably the most vital part of your astrological DNA, the Universe also allocates you a Moon sign. Meaning, that the Moon was travelling through a particular Zodiac sign, at the exact moment of your birth and as such, represents another important piece of your individual horoscope puzzle. Your Moon sign adds another layer to the complex creature that is you! Most importantly, it reveals your emotional profile, yearnings and mood. In your birth chart, the Moon represents the “inner you” – your family connections, intuition and how you are likely to give and receive nurturing and experience emotional security. So, let’s take a look at your unique Moon profile, according to which Zodiac sign it was lighting up, on your birthday. ARIES MOON: You are the Warrior Woman of the Zodiac and with this fiery Moon sign, your emotions run hot! Intensely passionate, you give 100% of your heart and soul when committed. Once you have your eye on something (or someone) you don’t hold back from going after what you want and are fully prepared to take risks in order to achieve your objective. Not one to shy away from expressing your true feelings, your forthright manner and impulsiveness often lands you in boiling water. Courage is your middle name. TAURUS MOON: Stable and dependable, you are a responsible person that can be relied upon. Your pragmatic approach to life likes to create a steady routine that delivers a bountiful income. Creature comforts are appreciated by your earthy Moon sign, as you derive pleasure from things you can touch, smell and see with your own eyes. If it ain’t real, it quickly loses your interest. Trust plays is a vital component in your emotional make-up. Relationship indiscretions break your heart to the point of no return, so chose a lover that can match your level of dedication and sense of loyalty. GEMINI MOON: You love to talk about your feelings, expressing every emotion in fine detail. Connectedness stems from articulating your mood. So, you need a lover that thinks of your communicative nature as an endearing quality rather than verbal diarrhoea! With your airy Gemini Moon, you easily flit from one circumstance to another with the grace of a ballerina. The problem with such outstanding adaptability, is that you often have trouble sticking to one thing. Whilst commitment is not your strong suit, your friendly and flirtatious personality always shines as the life of the party. 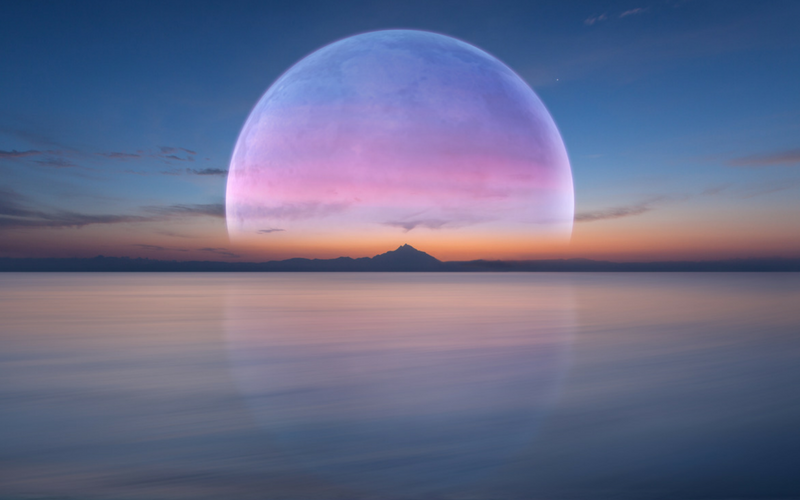 CANCER MOON: Highly attuned to the phases of the Moon, you are deeply emotional and sensitive. You glow in relationships where you can express your nurturing side. Lavishing tenderness, care and empathy to those closest to you, makes you the ultimate domestic Goddess. You are a talented cook and can whip up a delicious meal with your eyes closed. However, your gifts are reserved for a special few that are able to crack through your tough, protective exterior. Your wealth of emotion is like a vast, deep and beautiful ocean but be mindful that caring doesn’t digress to clinginess. LEO MOON: Your feline allure and powerful presence makes you a born leader. Warm, loving and generous, you have the heart of a lion and adore spoiling those closet to you with grand gestures of romance. Your affectionate nature makes you a giving lover. Blessed with a magnetic personality, you attract a plethora of admirers but occasionally your proud demeanour is recognised as patronising. Your playfulness makes you a natural with children and your high degree of discernment, chooses quality over quantity every time. VIRGO MOON: One of the cleverest Moon signs, you excel at anything you set your mind to. Your attention to detail is second to none and you have the organisational skills of a pro. A perfectionist through and through, your high standards and lofty expectations drive you to be the best you can be, often placing unnecessary pressure on yourself. Criticism of self and others, is your worst enemy and neglected hygiene is a deal breaker in relationships. Your home is immaculate, whereas mess and disorder throw your equilibrium out. LIBRA MOON: A hopeless romantic, you fall in love with love itself. Naturally drawn to fine artwork, music and life’s little luxuries, you have a great appreciation for beauty. A beautiful face, body, mind and soul make you weak at the knees. It’s not that you are superficial but more that you are a sophisticated creature with refined tastes. You could charm the pants off just about anyone, having them twisted around your little finger, in an instant. Your mission is to connect with an ideal partner that is deserving of being the Yin to your Yang. SCORPIO MOON: Not a Moon sign for the faint hearted, your intense passion takes no prisoners. You seek a deeper connectedness from your relationships and are disinterested in idle chit chat or superficial people. Highly selective about who you share your intimate secrets with, you are insanely private. The sexiest of all Moon signs, your mysterious and seductive allure has hypnotic superpower. Jealousy plagues you, so find a lover that is loyal and truthful. Woe betide anyone that burns you – they will be cut off with icy, unforgiving wrath! SAGITTARIUS MOON: You have a free spirit and bountiful sense of adventure that wants to explore different cultures, people and philosophies. With a healthy thirst for knowledge, you seek to expand your horizons through life’s enriching experiences. Your belief system is your North Star and when you feel strongly about a cause, you want to share your ideas on a large scale, to help motivate others. Honesty is an admirable quality but sometimes your blunt truthfulness is considered downright rude! A partner that tries to clip your wings, is like a death sentence for you. CAPRICORN MOON: There is a serious side to you that often feels as if the weight of the world is on your shoulders. And the truth is, yours is the Moon sign most capable of dealing with heavy responsibility and authority. Whether you are a powerful corporate executive, highly regarded leader or you juggle the demands of running a household, you are the boss of your world. You command respect and possess maturity beyond your years. Just don’t forget to have fun and let your inner child out to play sometimes. childhood) which is never content conforming to the usual 9 to 5 grind. Your fierce desire for independence and emotional coolness perplexes lovers, making you an elusive enigma. PISCES MOON: A natural caretaker, your sensitive heart knows no bounds when it comes to giving to those in need. You are the dreamer, the artist and the nurturer of the Zodiac. As a child, you would have rescued every stray cat in the neighbourhood. It is not in your compassionate nature to see fault in others, so you must strive to protect yourself from unsavoury types. Highly imaginative, your watery Moon sign is often blessed with outstanding talent, heightened intuition and psychic insight.